Business card for a young professional dancer of Argentine Tango. The cards were printed on 350g matte coated stock. UV spot varnish highlights the dancing couple 'black-on-black' and the logo. 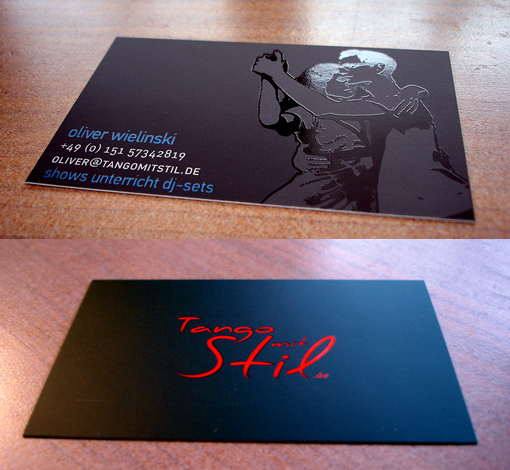 The photographs show the German version of the business cards.